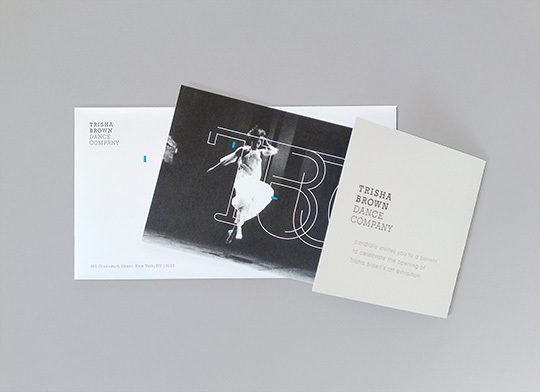 Invitation set for Trisha Brown Dance Company's 2009 gala. 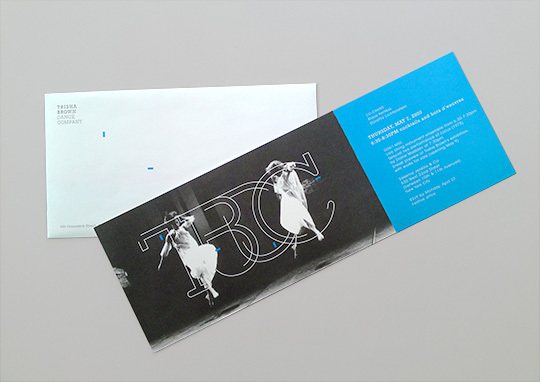 This is the first gala invitation to incorporate the new identity so the new logo was the prominent feature of the card. I superimposed the new logo over the dance photo to further enhanced the concept of dance movement which inspired the new logo. 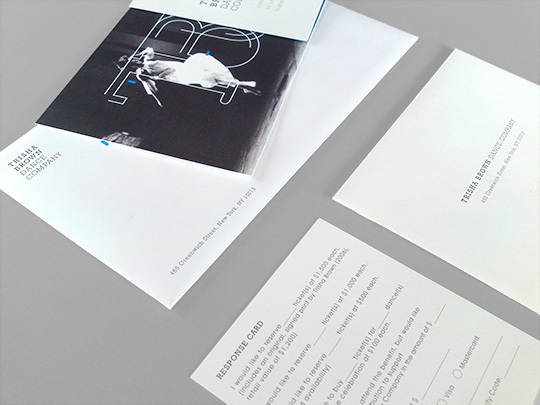 Invitation included matching envelope, response cards and reply envelope.